The signing of the Joint Comprehensive Plan of Action (JCPOA) in July 2015 and subsequently the lifting of the sanctions imposed on Iran, reintroduced the Iranian economy to the international trade and investment, leading Iran to return to the commercial mainstream. Just a few days ago, Tehran signed a $16.6 billion deal for 80 Boeing passenger jets and according to Iranian media, agreements have been concluded for the purchase of dozens more Airbus planes, forming the biggest package of commercial contracts with western companies since Iran’s Islamic revolution in 1979. 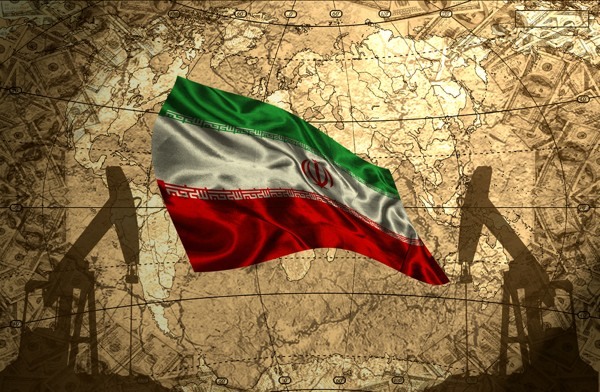 The lifting of the banking sanctions also means that Iran – despite technical difficulties – is reconnected to the world financial network. With a population of almost 80 million, most of whom are young and highly educated people, Iran is an attractive hub for investors. Iran has the 26th largest economy in the world with a GDP of $ 425, 3 billion in 2016, and is amongst the largest economies in the Middle East and North Africa region. Besides, Iran ranks second in the world in natural gas reserves and fourth in proven crude oil reserves. The Iranian sixth ‘Five-Year Development Plan’ for the 2016-2021 period comprises of development plans to envisage an annual economic growth rate of 8%. In such circumstances, direct foreign investments make essential accompaniments to Iran’s economic development efforts, by contributing toward Iran’s economic growth and development over the long term. Foreign investments can potentially create jobs, build up competitiveness and productivity and transfer knowledge and technology. However, a key issue is to build necessary conditions to facilitate the investment flows. In October 2014, Iran ranked 130th out of 189 countries in the World Bank’s Doing Business Report, which further illustrates that Iran should make efforts to achieve a more transparent, secure and foreseeable investment environment to attract more foreign direct investments. This will be feasible by, amongst other things, offering a reliable, efficient and internationally accepted investment dispute settlement mechanism. In this respect, the International Centre for Settlement of Investment Disputes (ICSID) provides a platform outside the domestic legal systems, which offers the foreign investors the guarantee that they can take the disputes to a facility which is not part of the legal system of the country in which they are suing. Commentators and investment scholars cite many benefits for the accession of states to the ICSID Convention, including that ICSID provides ‘additional protection’ to the investors abroad by allowing them to provide for recourse to arbitration using ICSID arbitral rules in their contracts with foreign states. Further, ICSID membership would contribute to reinforcing countries’ images as being investment friendly. According to the report published by the United Nations Conference on Trade and Development (UNCTAD), the majority of international investment disputes between UNCTAD members are settled through ICSID. In this regard, as an UNCTAD member, Iran can provide Iranian investors with the opportunity of settling their disputes with foreign governments without the need of direct involvement of the Iranian government by accession to the ICSID. Iran has developed its domestic laws during the recent years to pave the way for the facilitation of foreign investments. For instance, the enactment of the Law Concerning International Commercial Arbitration was one of the important initiations taken by Iran as a step towards making it a more arbitration-friendly country. In addition, Iran sought to take a noticeable step towards joining the international investment world by enacting Iran’s Foreign Investment Promotion and Protection Act (FIPPA) in 2002. This Act introduces an alternative method for dispute settlement for the Parties other than the exclusive referral to domestic courts, if provided by the Bilateral Investment Agreement. The establishment of the Tehran Regional Arbitration Centre, as well as the Iranian accession to the New York Convention, further highlight Iran’s readiness to adopt international developments in alternative dispute resolution methods. Iran has also frequently had recourse to arbitration over the past decades. For instance, the Iran-United States Claims Tribunal which was established in 1981 to resolve certain claims has finalized over 3,900 cases to date. However, Iran is not a member state to the ICSID Convention. Despite the long standing discussions in respect to Iran’s becoming an ICSID member, one should bear in mind that in practice there are features in Iran’s jurisdiction which put limitations on Iran from being subject to ICSID arbitrations. Iran’s Constitution places a strict condition on foreign investments in Iran. In particular, Article 81 of the Constitutional Law of the Islamic Republic of Iran states that it is “absolutely forbidden” to give foreigners the right to establish companies in commercial, industrial, and other fields and in the service sector. However, having passed the Law of Permitting Registration of Branches and Representatives Offices of Foreign Companies in 1997, Iran sought to facilitate the flow of foreign investments and business activities, by recognizing that foreign companies may – under certain circumstances – set up branches and representative offices in Iran to carry out the businesses authorized by the government of Islamic Republic of Iran in due compliance with the Laws of Iran. In addition, Article 139 of said Constitutional Law has conditioned the subjective arbitrability of public and State properties to the approval of the Council of Ministers, and a two-leveled approval system “in cases where the party to the dispute is a foreigner and in important internal cases, it must also be approved by the Assembly”. Therefore, the Iranian accession to the ICSID will have technical complications from the perspective of its Constitution, as it limits the State power to access the ICSID’s arbitration process. Joining the ICSID will enhance international perceptions of Iran as a welcoming country to invest. Iranian companies and individuals, on the other hand, will also enjoy the protection of their investments abroad, if Iran joins the Convention. Iran has entered into almost 70 BITs with other countries, many of which contain clauses to submit the disputes to the ICSID, ‘if or as soon as both contracting parties have acceded to it’. The inclusion of such clauses in the BITs entered into by Iran demonstrates that the possibility of the Iranian accession to ICSID Convention in the future has been considered by the Iranian government.